According to a popular pin on Pinterest, and other claims online, if you simply rub your teeth with the inside of a banana peel for 2 minutes, it can remove stains on your teeth and make them multiple shades lighter. From Pinterest: "To whiten teeth with banana peel is very safe and healthy for teeth as banana peels are a wonderful source of minerals and vitamins. They do not have the abrasiveness that other natural whiteners have and best of all they are inexpensive. Brush your teeth as usual with a natural toothpaste or you can use the banana peel first and then brush. Take a piece of the inside of the banana peel and gently rub around on your teeth for about 2 minutes." Does it work? Well, I tried it, and while I'd love to tell you that it worked like a charm, it did not. 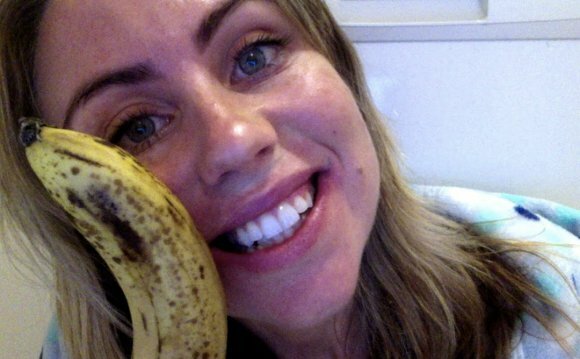 Experts seem to agree: Dr. Darren Riopelle, a dentist in Denver, Colorado, tried the banana peel whitening system for himself, and after 14 days of rubbing banana peels on his teeth, his smile looked the same as when he began.